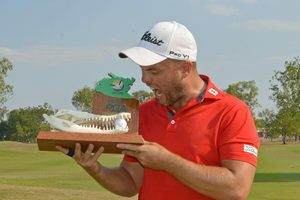 Fans at the Palmerston Golf Club were treated to some spectacular scoring on the final day of the MMC Northern Territory PGA Championship with one of the pre-tournament favourites, Daniel Nisbet showing a touch of class over the final nine holes to come away with a two-stroke victory. 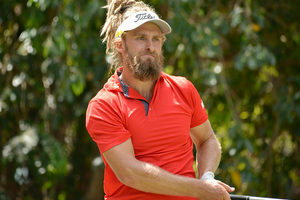 What a difference a fortnight makes after a missed cut in Fiji, the 2018 ISPS HANDA PGA Tour of Australasia Order of Merit leader bounced back in fine style this week and scorched the course with a round of eight-under par 63 to tie Frazer Droop's course record and the 19-under par tournament record set by Travis Smyth last year. However, while the numbers might align with Smyth’s 2017 performance, the margin of victory was far slimmer with the lead going back and forth all afternoon before the Queenslander took a one-stroke advantage to the final hole over NSW’s Daniel Gale and joint overnight leader Damien Jordan from Queensland. An excellent approach left Nisbet with five feet for another birdie which he duly holed, leaving the stage for Jordan to try to hole his second shot at the last to tie. When that failed to eventuate, Nisbet claimed his second title of the season having won the New Zealand Open back in February. Starting the day three behind Jack Wilson and Jordan, Nisbet got off to a hot start with birdies on the opening two holes before giving one back with a bogey at the third. Another two birdies on the fifth and sixth restored his momentum but after adding another birdie at the 11th from off the fringe, the short 12th would be his undoing with another bogey after finding trouble to the right of the fairway and green. Jordan regained the lead briefly after a masterly pitch and run of his own to the 11th from behind trees but despite adding two more birdies on the run home to tie Gale for second at 17-under, he got caught in the buzz saw that was Nisbet’s final six holes. Birdies at 13, 14, 15, 16 and 18 underlined the hot hand he brought to the Palmerston layout this week, starting with a 64 on Thursday and closing with his 63 in Sunday. Jordan was gallant in defeat and tipped his hat to the new champion’s blistering final round. “I played really good today but I definitely wasn’t shooting what Nizzy was shooting, eight-under in the final round normally gets it done every time,” Jordan said. 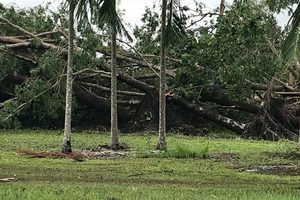 Gale also came home with a wet sail with a round of 64 and despite being well satisfied with his position on the leader board, the one-over 72 he had to open the Championship on Thursday was certainly costly. Another who looked likely to set a number to catch was Kiwi veteran Mark Brown who turned a good round into something more special when he pitched in from around 40 metres for an eagle two at the 15th. Thinking he needed to birdie the final hole, Brown gave the 20-footer every chance but missed the return putt for a bogey to sign for a round of 65 and outright fourth place at 15-under. A number of impressive up and comers helped round out the remainder of the top-10 with eye catching performances. Adam Burdett and Maverick Antcliff finished at 14-under in a tie for fifth, Cameron John was alone in seventh place at 13-under while Tim Stewart and Michael Sim were in eighth place at 12-under. Palmerston’s Aaron Pike shot a final round of 69 to finish the tournament his family helped sponsor at five-under, tied for 29th place, but all the glory quite rightly goes to Nisbet who Territory fans will now watch with interest to see how his career progresses – especially considering the enormous opportunities that lie in store in 2019 for the top few players on the local Order of Merit at the end of this year. “I came up here to try to advance my lead in the Order of Merit if I could. It’s going to be a tight race with the bulk of our prizemoney on offer in the tournaments at the end of the year.” Nisbet said.